Performance of your Magento store plays a crucial part in driving traffic towards your e-commerce website with more and assured conversions. The faster e-commerce website has more conversion ratio than slower websites which ultimately increases your business conversions. There are many factors which affects the performance of your website and images optimization is one of the important and easy ways to improve the performance of your e-commerce store. When you visit the website, the server initially calls all of the files of the website to load and depending on the website, the images could take a huge part in all files that need to be loaded. That is the main reason why optimize images are important for the web. The smaller the file’s size of the images, the faster it will be loaded. So let’s go to the solution now, and find how we can optimize images in Magento. Connect to the server via SSH and install following two utilities for optimizing *.png and *.jpeg files. 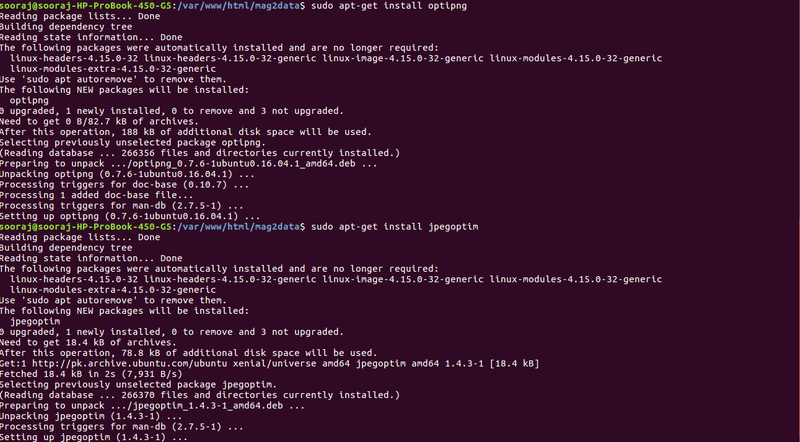 The optipng utility will be used for optimizing PNG files and to install it, run the following command in your shell. And for optimizing JPEG files, the jpegoptim utility will be used and to install it, run the following command in your shell. As now you have successfully installed the utilities for PNG and JPEG files, let’s start optimization for PNG images inside media/catalog folder of your Magento installation. For this, open the media folder inside the root directory of your Magento installation and execute the following commands. 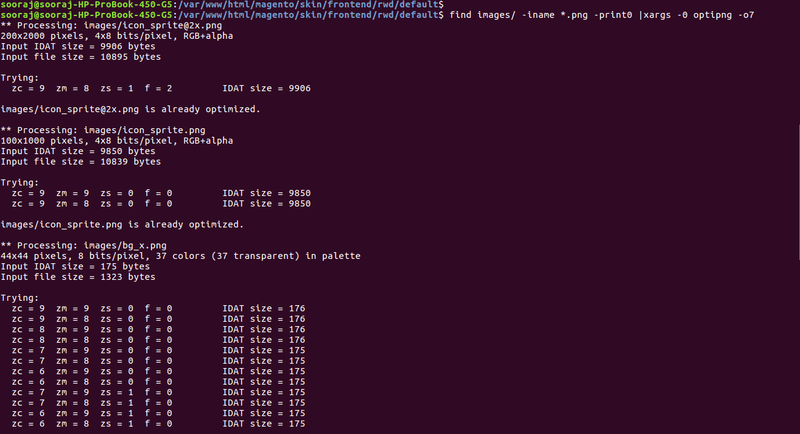 This will find and optimize all the PNG images in all subfolders of the current directory. To optimize JPEG images, execute the following command, this will find and optimize all the JPEG images in all subfolders of catalog/ directory. First of all, execute the following commands to install the Guetzli library on your server. Now to optimize image using Guetzli, execute the following command. That’s it! Fast and effective solution to optimize images on your Magento website in a few minutes.